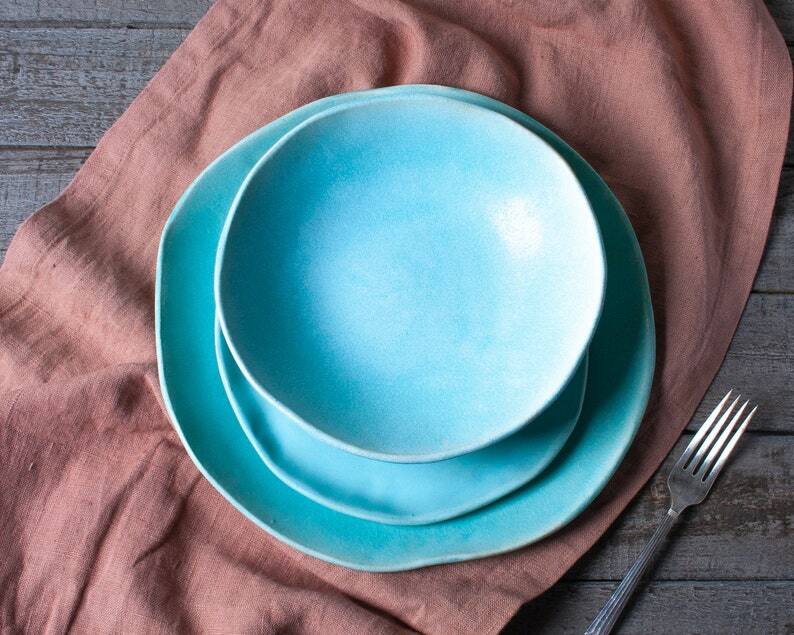 Rustic, chic and reminiscent of tropical waters, this collection brings an air of fresh sophistication to your table. Finished in a luminous aqua matte glaze on smooth white stoneware. This gorgeous glaze pools along the rim of the dish and creates a beautiful crystaline effect. Beautiful! I am in love with my new dishes and just keep coming back for more. They are substantial and "feel" good in your hands. The colors are really unique and the white gloss is downright elegant. Now that I have "one of a kind" dinnerware and serving dishes, I'll never go back! Love my dinnerware! The delicate turquoise is beautiful and the handmade workmanship is really nice. I bought two sets. It took some time to get it, but worth the wait! Beautiful set - love them! !